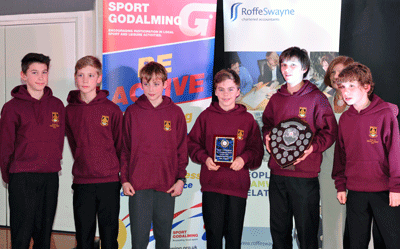 Sport Godalming hosted their 11th Sports Awards at Charterhouse Club on Friday 22 November. The evening included inspirational stories of sporting success, volunteering and commitment from the year in sport. 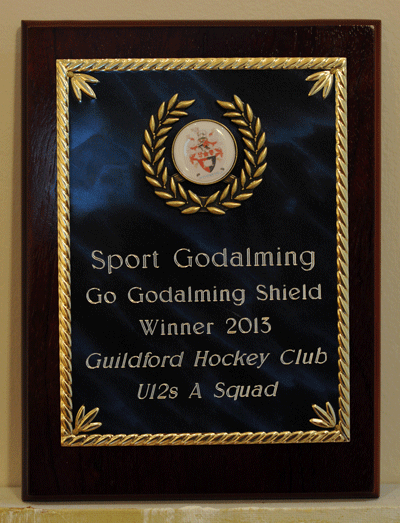 Guildford Hockey Club youth came away with two awards on the evening. 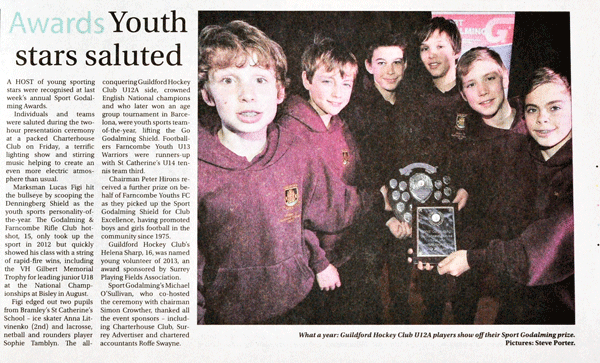 The Youth Sports Team of the Year for the GO Godalming Shield were the Guildford Hockey Club Under 12 Boys A team who enjoyed a winning season. They were recognised for having won the England Hockey National Championships 2012/13 for their age group and also for having won the prestigious Polo Club de Barcelona tournament competing against top teams from Europe. And there many, many successes along the way. Guildford's Helena S was named the Young Volunteer for 2013 for her commitment and contribution to coaching at GHC. Well done, Helena! There is a massive shield on display in the bar. The boys also received a plaque and Helena has a trophy for her cabinet as well. It is worth mentioning that while winning and receiving awards are great - what is important about the U12 Boys 2012/13 season is that ALL squad members enjoyed training and playing. Not only did the top team thrive but all teams in the squad did superbly well, including winning the season-ending Surrey Plate competition and many other events along the way. 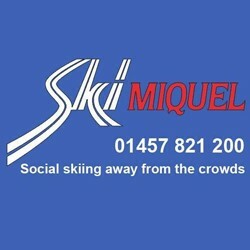 Keep up the good work, boys - and have fun! !